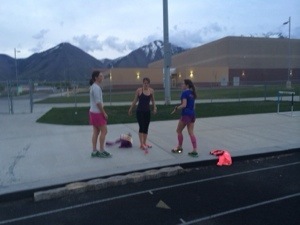 Oh the speed workout today (and so early in the morning)… 20 x 400’s with a 200 (1/2 a lap) recovery. I had a great group show up to run the workout with me (Amber, Mac, Aubrey, Melissa, Scott, and Rachelle). 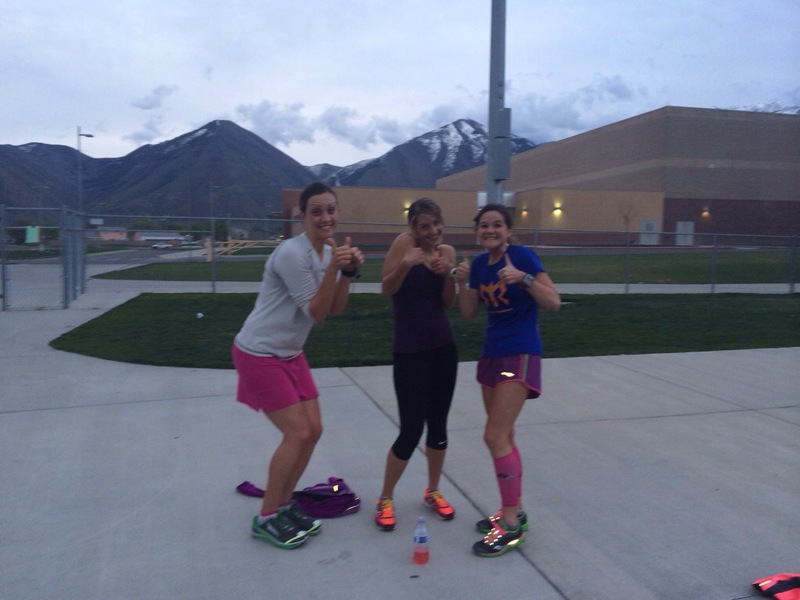 We all ran a warmup (I ran 2 miles to warmup and then 19:13.42 for a cool down with 2 fast strides to end it). I do like to finish off every run with at least 2 to 4 strides or end my workouts fast. If you finish off a run fast, Your body (memory) remembers going that speed. We all ran at different speeds (my goal was to run 10 seconds faster than my goal marathon mile pace). For the 1st 17, I ran between a 1:23-1:25 lap (5:40 mile pace… That is 30 seconds Faster than my goal marathon pace). The last 3 were a 1:22, 1:20, and 1:20. I felt good but knew I was finished after the 20th. I ran 30 times around the track… 7 1/2 miles of speed (around a track). It actually went by pretty quick! And it really wasn’t that bad. I ran about 12 miles total. It really was great having others running on the track with me… Very motivating to keep going and to finish the full workout! 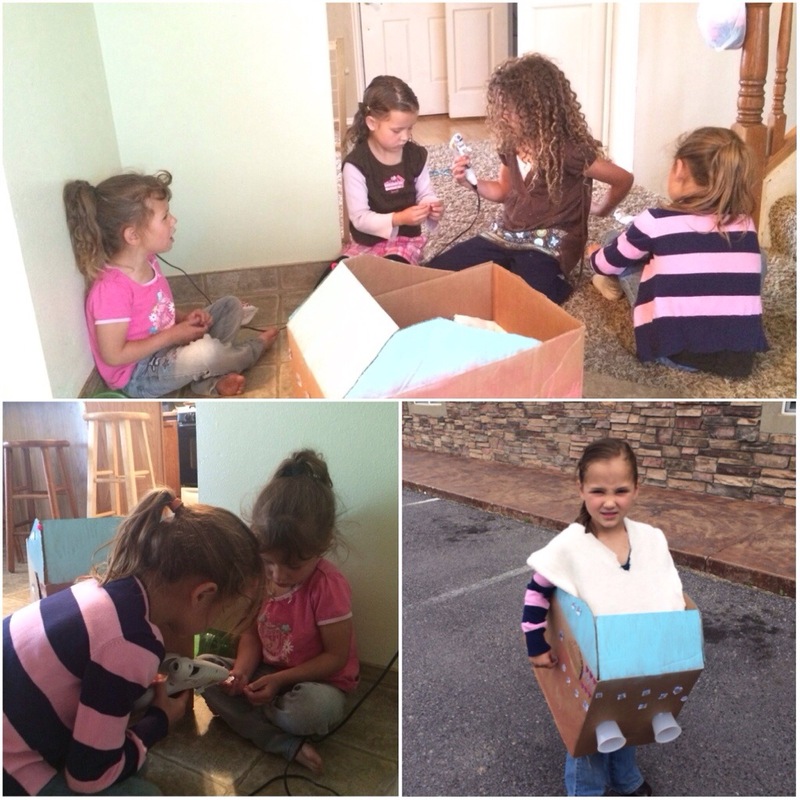 I came home and began the process of getting the girls (and Corom) ready for school and work. 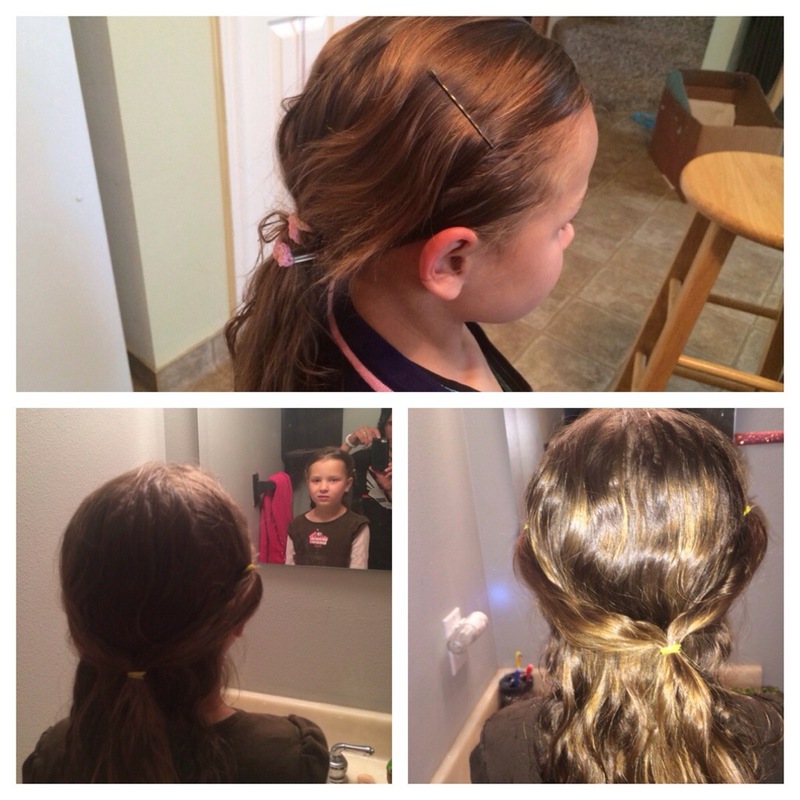 😉 My 6 year old and 5 year old did their own hair this morning… My 6 year old does her hair a lot but sometimes (or most of the time) she does a better job than I do! 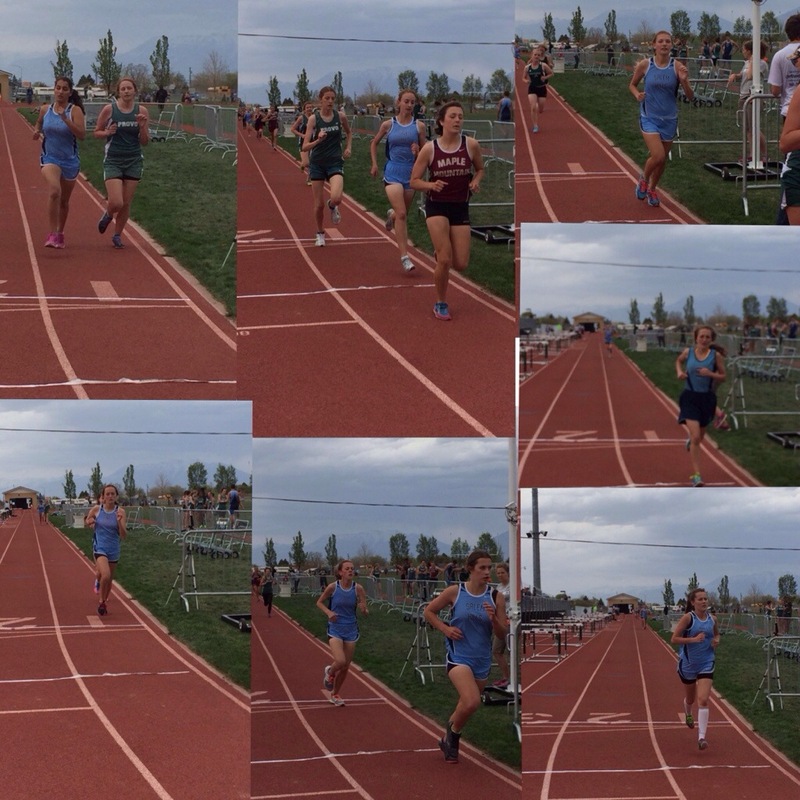 I had 4 extra kids today; the kids had fun… And then I headed off for a track meet. 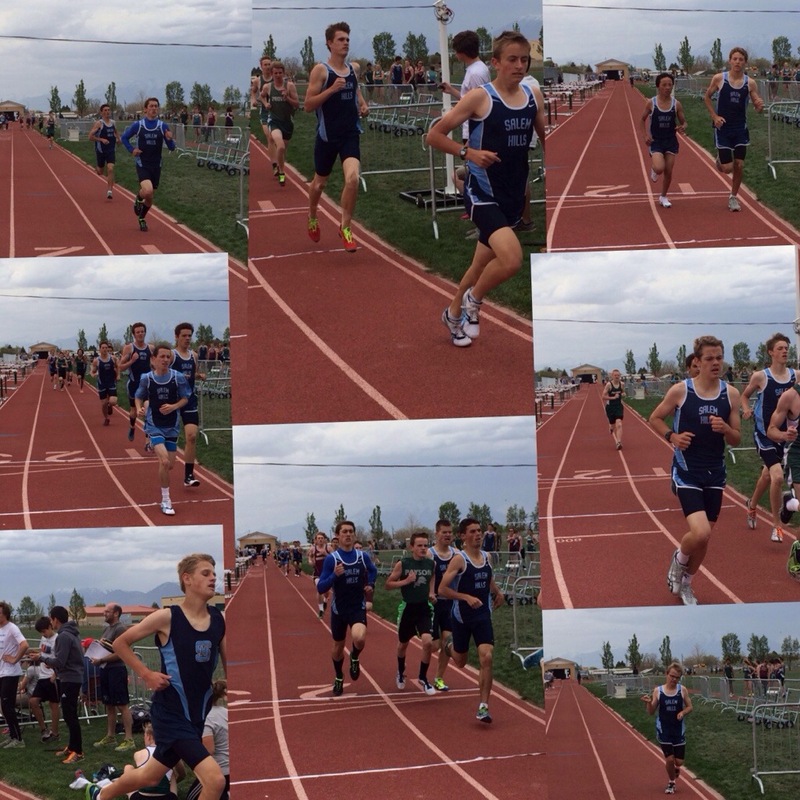 It was a relay track meet. More of a fun meet for the kids. He actually threw his best mark by 10 feet 15 minutes after he finished the mile. (The little guy is the freshman distance runner.) It really made me happy to see these 3 jump up and do it for him. 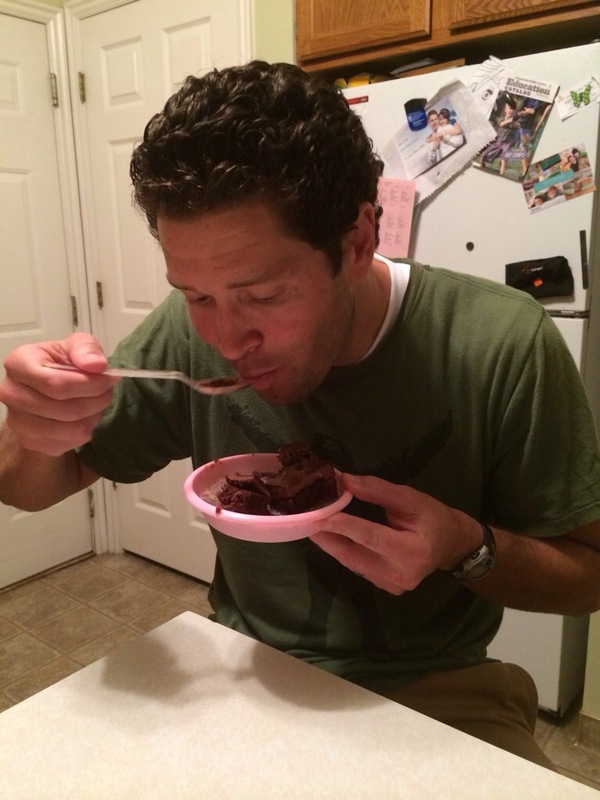 Chocolate Ganosh cake… My favorite! A couple of friends and I went to a late movie… Thanks Camille and Stephanie, it was fun to get out and veg! 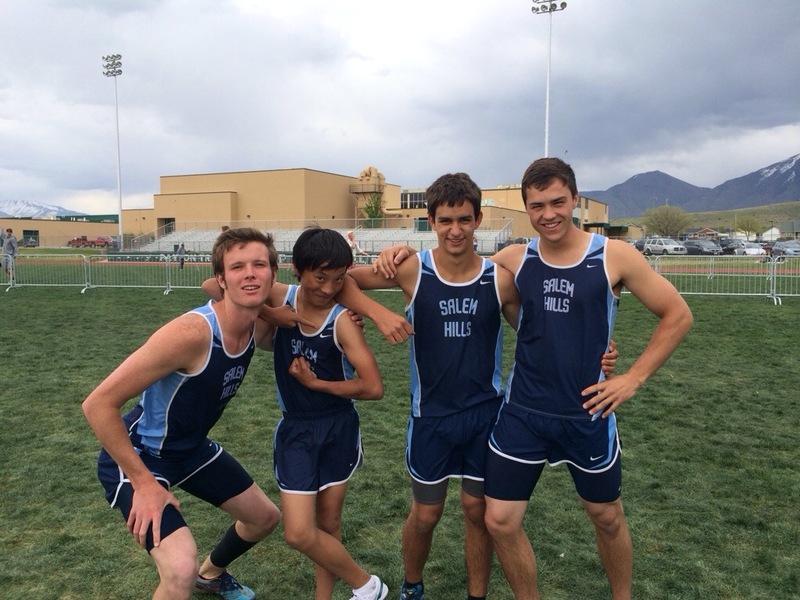 Ha, I love that you threw together a relay team of one distance runner and some field events. My dad actually loved coaching track because he found it to be like a math game. He could take a mediocre team and put athletes in just the right events so that they won most meets. It was really awesome for the kids because we went to such a small school and were looked down at by a lot of schools. Being able to win against a lot of them was so fun growing up.